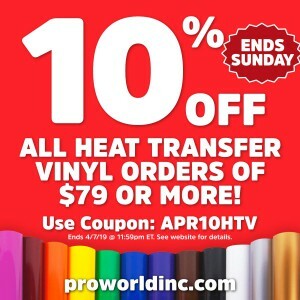 HTV Archives - Pro World Inc.Pro World Inc.
Do you love Heat Transfer Vinyl (HTV)? Us too! Which is why we are giving you 10% OFF HTV this week until Sunday 4/7/19! Want to know more about the types of HTV that we carry? See below! 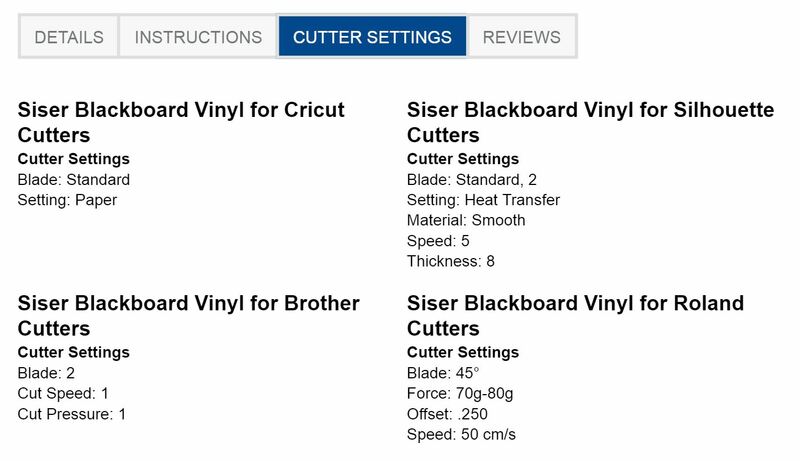 We carry Siser EasyWeed Vinyl by the sheet and roll in multiple sizes. We offer a number of colors of the standard EasyWeed, fluorescent, and glitter as well as a glow in the dark vinyl. Siser EasyWeed can be peeled hot or cold and doesn’t lift during weeding. It’s extremely durable and won’t wear after numerous washings. It applies at a lower temperature setting and lower pressure than other vinyls and is also thinner making it great for layering. 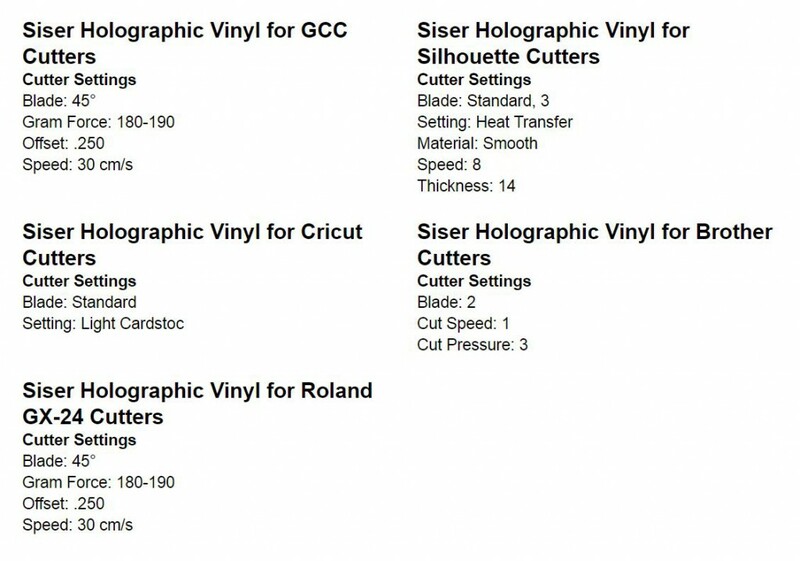 Siser EasyWeed Extra, Electric, Holographic, Stretch, CADflex, Siser EasyPatterns, Brick, Strip Flock, Blackboard and Metal are also available. Chemica Firstmark is a semi matte vinyl available in multiple sizes and a number of colors that is best when applied to cotton, polyester, acrylic, and similar materials. 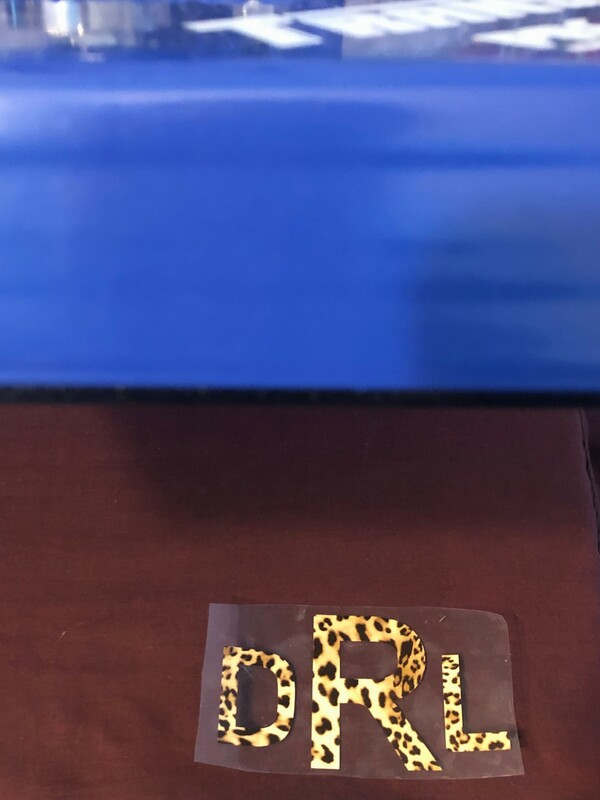 We also offer Chemica Mirror Vinyl, which has a metallic finish, in 2 colors, Chemica Firstmark Fluorescent available in 4 colors, and Chemica Quickflex which applies in 5 seconds to cotton, polyester, acrylic, and similar fibers. It peels hot, is soft, flexible, ultrathin, and easy to weed and washes well. It comes in 16 colors. Chemica Bling Bling is an ultra-metallic “glitter-flake” vinyl perfect for cheer and team spirit apparel and it comes in 10 colors. 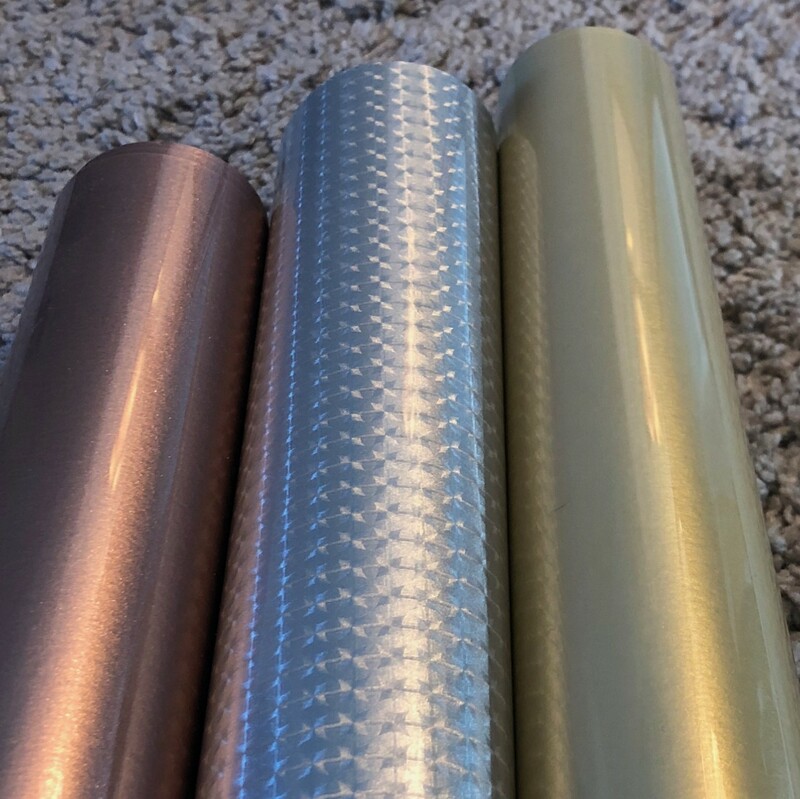 We also offer Chemica Metallic, Chemica Fashion Vinyl, and Chemica Darklite. 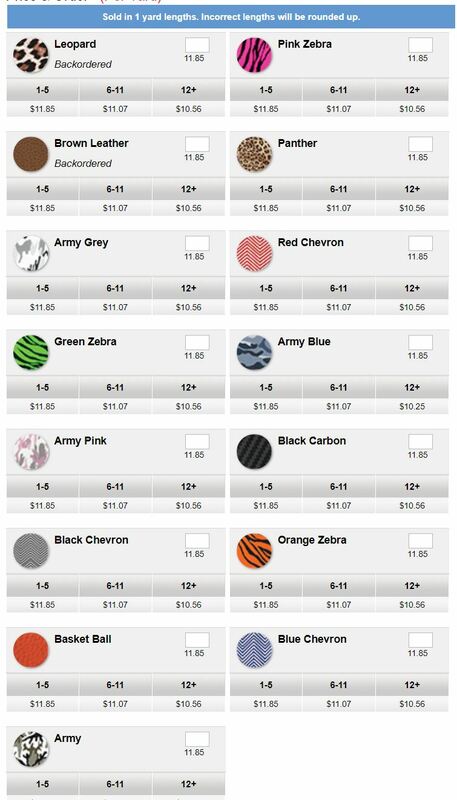 There are multiple types of ThermoFlex available in assorted colors and sizes. ThermoFlex Plus Metal Flake is a highly flexible vinyl. It has small pieces of glitter within the vinyl but is smooth to the touch, and will wash and wear very well. It comes in 6 colors. We also have ThermoFlex Plus available in 38 colors, ThermoFlex Glossy, ThermoFlex Plus Neon and ThermoFlex Plus Antique. We also carry ThermoFlex Xtra which can be printed on nylon, leather, rayon and other heat sensitive materials. Check out ThermoFlex Xtra Antique, and ThermoFlex Xtra for a few color options. FashionFlex is pre-printed heat vinyl that has a textured look and feel. We offer it in zebra and camouflage. 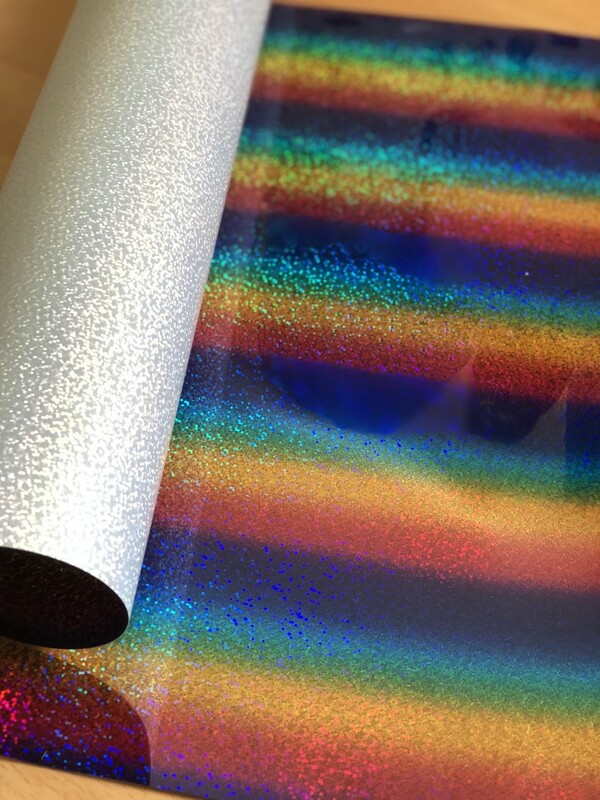 GlitterFlex Ultra Vinyl has just the right sparkle, with glitter flakes encased in it. It is a bit thicker than other vinyl’s so be sure to increase your cutting pressure accordingly. We also offer DecoFlock Premium Plus Vinyl if needing a soft, velvety felt-like feel to your garment. 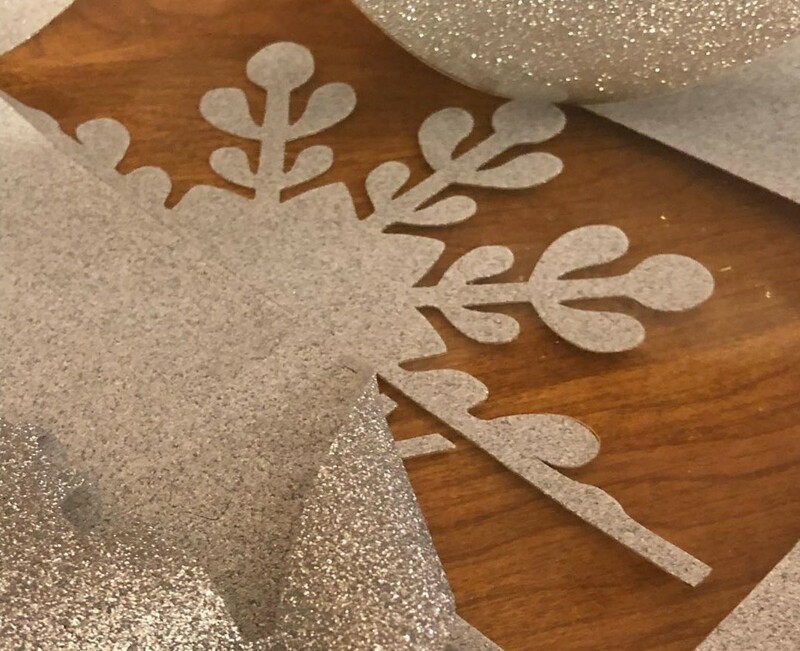 Silhouette Glitter Vinyl will add a little glam to your project. 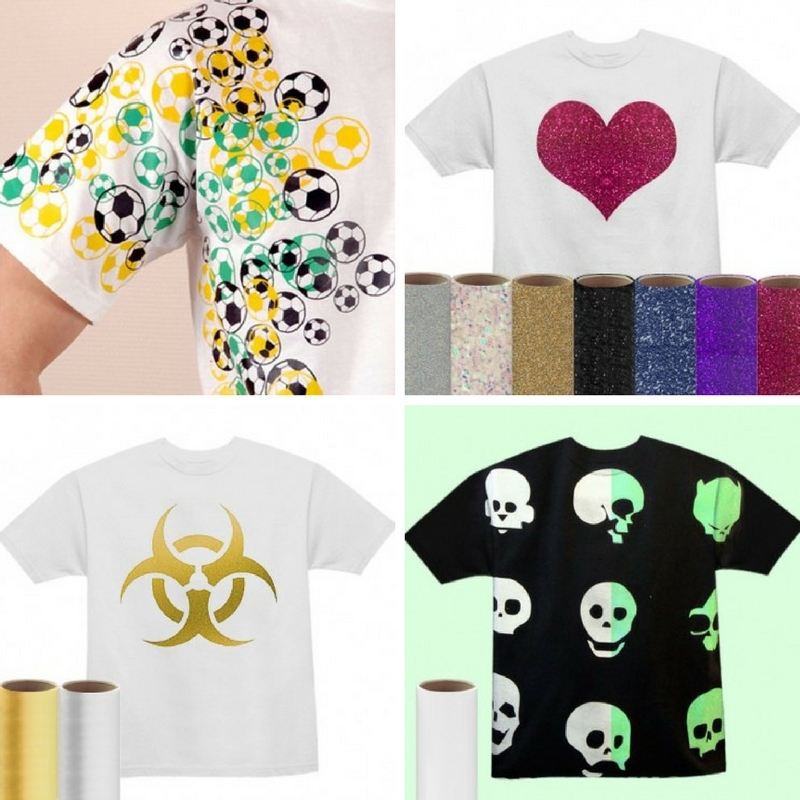 These are manufactured with transfer tape already adhered and come in a number of colors. With so many different brands, types, and sizes of vinyl available, it can be hard to decide which is best for your project. Different types work best on different materials, so be sure to read about the options to make sure they fulfill your needs. 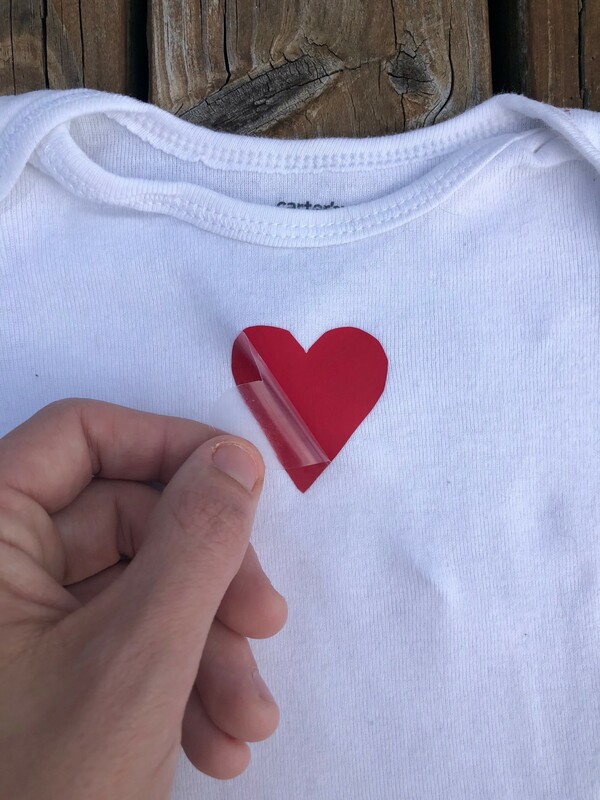 For more information about the HTV we offer and all of the different colors, sizes, and finishes, visit our website, https://www.proworldinc.com/heat-transfer-vinyl/heat-transfer-vinyl-for-garments.html. Do you have a favorite HTV? Have you used any of the specialty varieties? Share pictures of your projects in the comments! 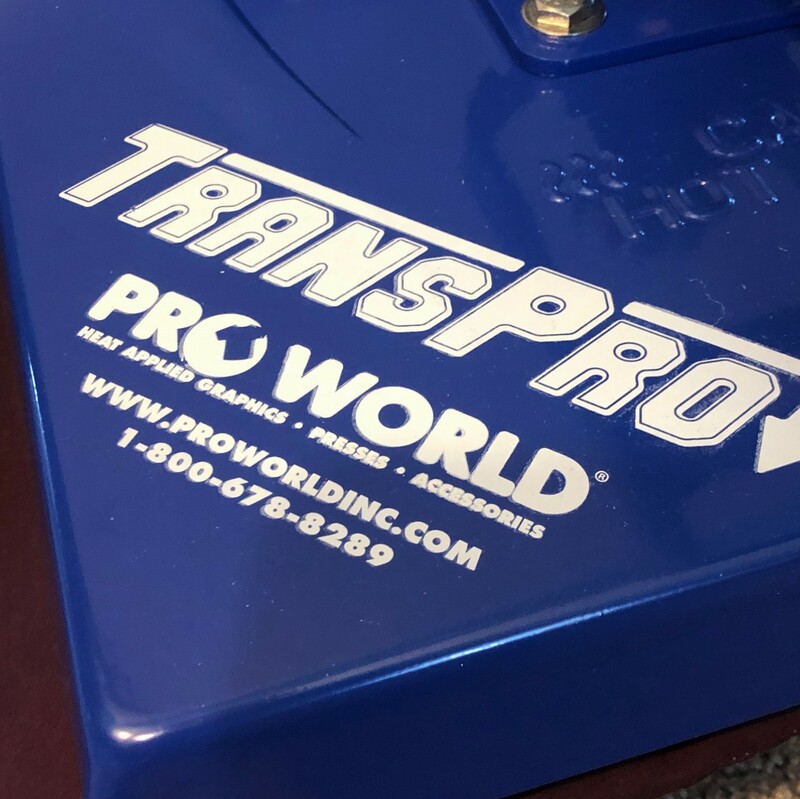 Here at Pro World, we love our customers! So we are constantly looking for ways to help you with your custom business. 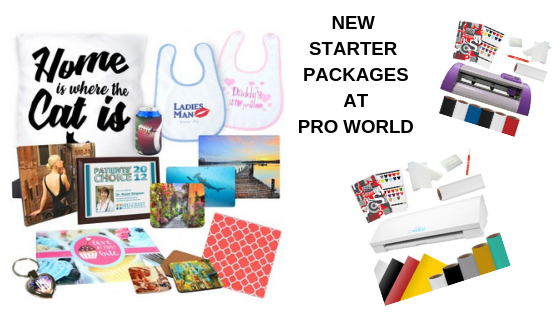 So when you asked for a Sublimation Blank Starter Package we were happy to put one together! Now with our Sublimation Blanks Starter Package you will get a ton of our best selling sublimation blanks ready for your custom designs. This package contains a variety of substrates; glass, hardboard, aluminum, and ceramic just to name a few. 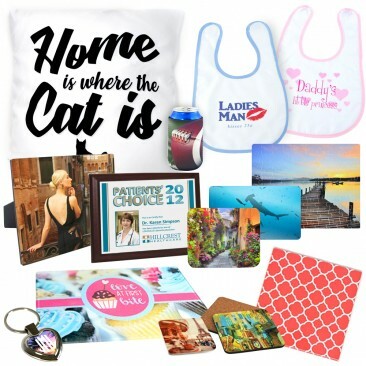 Perfect for practicing with your brand new sublimation printer or getting a variety of products to offer to your customers. All products contain a polymer coating and can be applied with your commercial heat press. Isn’t that great? And while we were thinking about new packages we decided to make one for the Galaxy Elite Cutter Starter Package and the Silhouette Cameo Starter Package. See what they entail below! 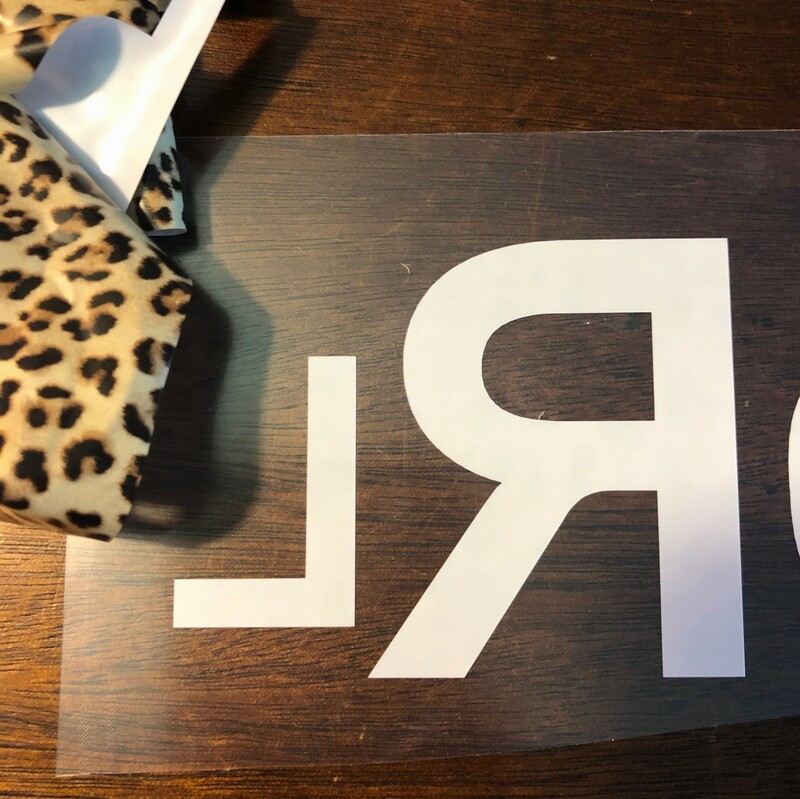 With the Galaxy Elite Cutter Starter Package you will get the Galaxy Elite 15″ Cutter which is a mid-range professional grade vinyl cutter that includes Dragon Cut Software and able to contour cut. It is a desktop cutter driven by stepper motors. With a maximum clearance of 19.3″, this cutter is perfect for running 15″ vinyl which is a common width for vinyl. 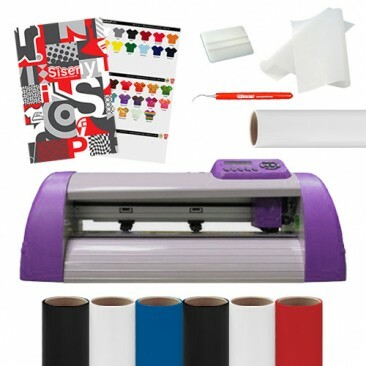 This package also includes sheets of Siser Easyweed Heat Transfer Vinyl and rolls of Oracal 651 Adhesive Sign Vinyl – just enough to get you started. 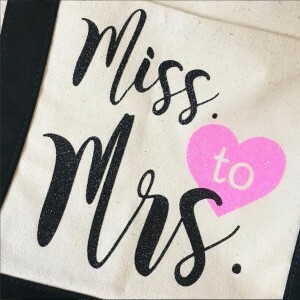 And to top it all of you will get a treasure trove of accessories to round out your package which will include a weeding tool, a non-stick sheet, a squeegee, a siser color guide, and oracal tape. We designed this so you would get everything that you need to get started in the garment and sign vinyl industry. And our last new package is the Silhouette Cameo Starter Package. 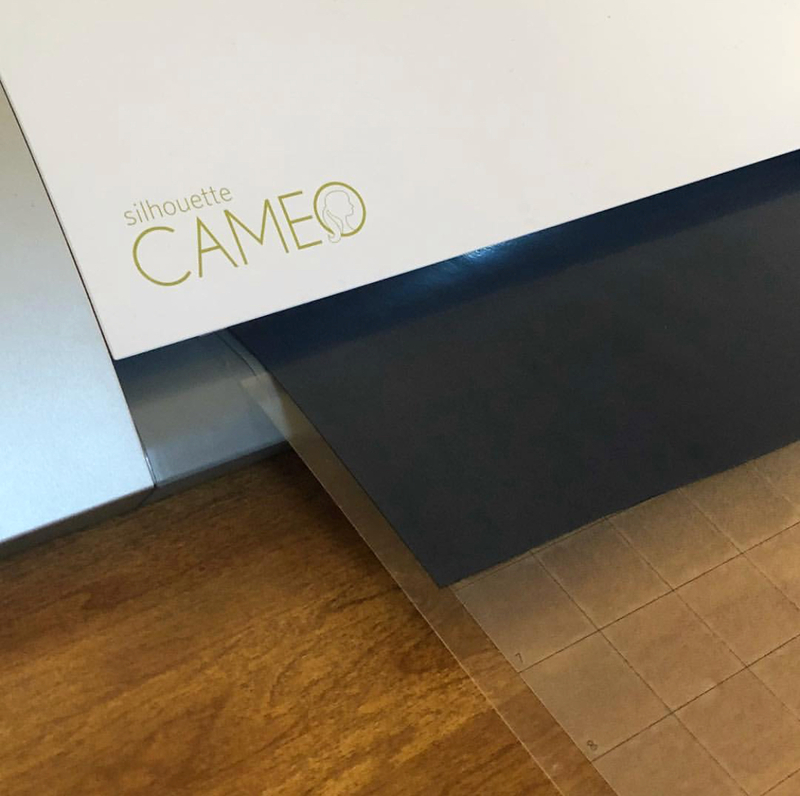 This package includes the Silhouette CAMEO® 3. the ultimate DIY machine. You just connect it to your computer with a USB cable and you are ready to design. 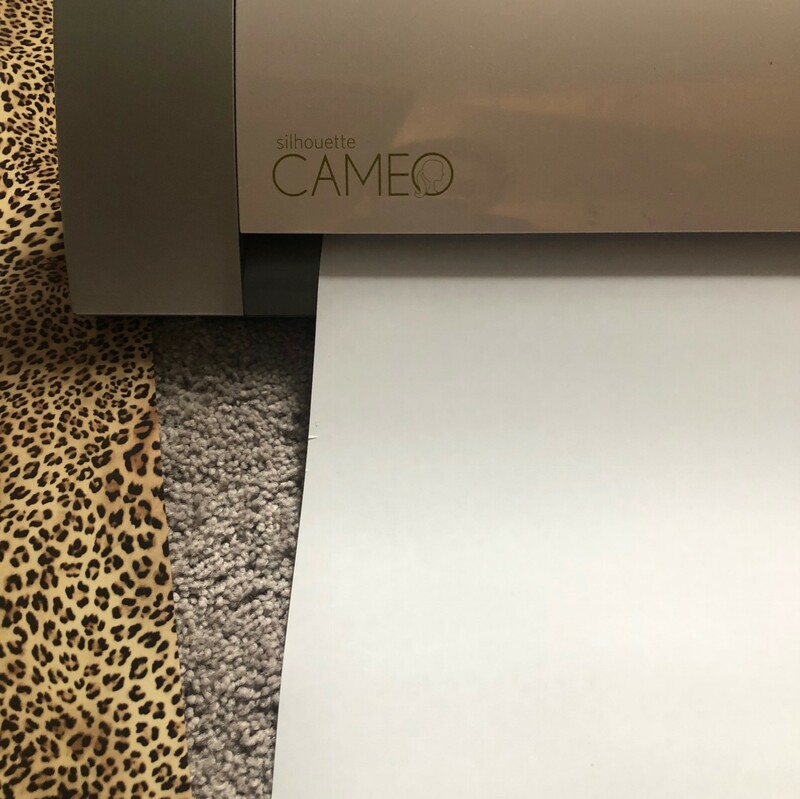 This machine uses a small blade to cut paper, cardstock, vinyl, fabric, and many other materials up to 12 inches wide and 10 feet long. 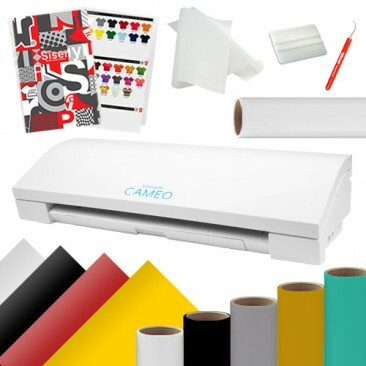 Includes Cameo® 3 cutter, power cable, instructional manual, cutting mat, cutting blade, cross cutter, a one-month subscription to the silhouette design store, and 100 free digital designs. This package also includes Siser Easyweed and Oracal Vinyl and loads of accessories like the Siser color guide, weeding tool, non-stick sheet, and vinyl squeegee! Which package are you most excited for? 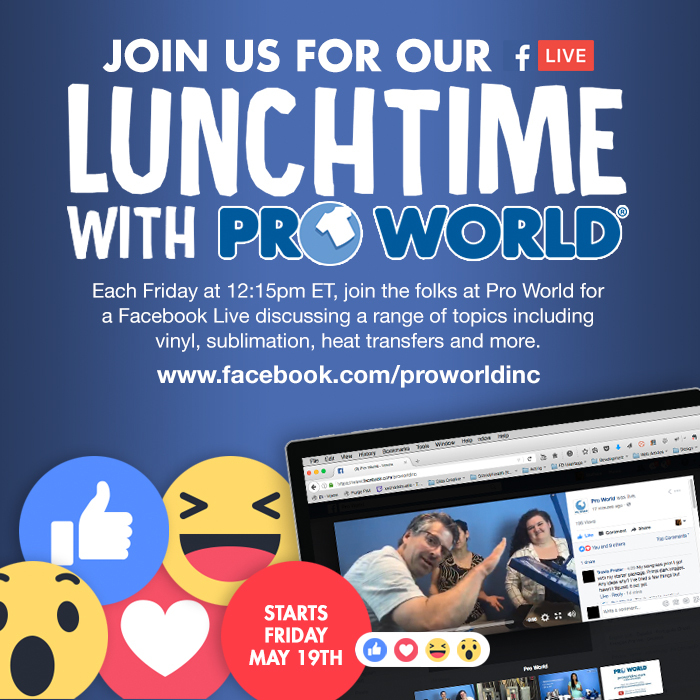 Did you know that every Friday at 12:15PM EST we go Live on our Facebook page? It’s true! You get to see behind the scenes of our office, get to know our team and see our product put to use as we answer questions on the spot! Do you have something that you would like to see demonstrated? Let us know! By heading over to our Facebook page and leaving us a note on our wall. Here are a few of our best Facebook Lives from 2018 for you to replay. But don’t forget to mark your calendar for this Friday at 12:15PM EST and every Friday after that! Which Heat Press is right for you? 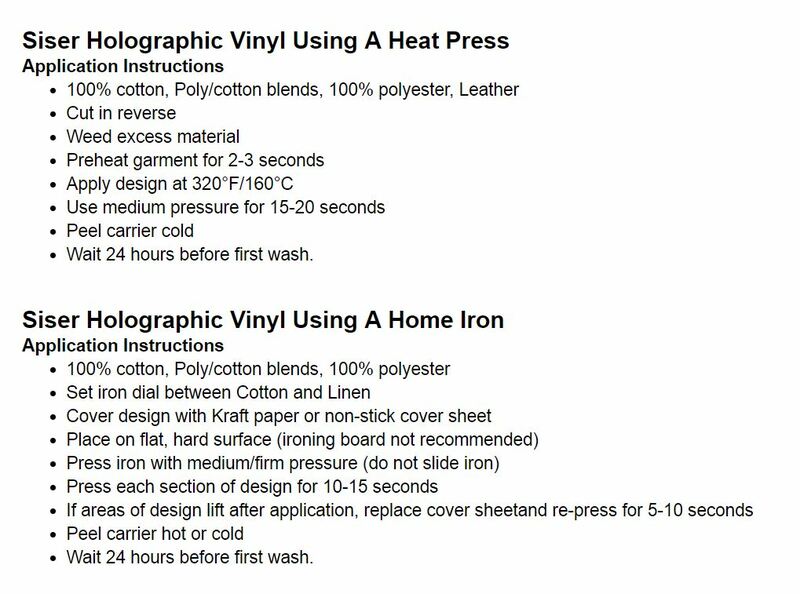 See for yourself why the TransPro heat press models are the best heat press on the market! Spring will be here before you know it. And with warmer weather that means people will be spending more times outdoors. So why not take advantage of the sunshine to create apparel that changes color before your very eyes! See how we take a solar heat transfer and press it to become a color changing surprise! Make a mistake? Don’t worry! Just apply some VLR. 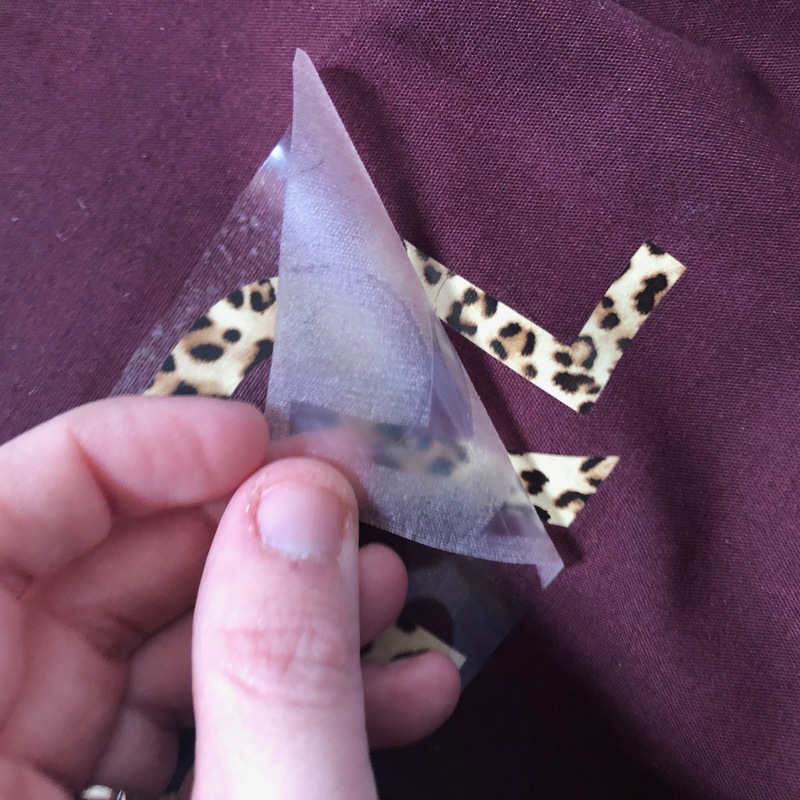 Watch on this Facebook Live as we use VLR (vinyl letter remover) to lift HTV from apparel! Sprucing up your craft space? Organize it with our vinyl holders! See them in action below. Want to learn more about stock transfers? Watch this video! We will show you how to use them, the benefits and how to personalize them! Is it time for a new cutting machine? Check out our latest starter pack The Galaxy Elite Cutter you can save money by bundling your cutter, vinyl, and accessories! 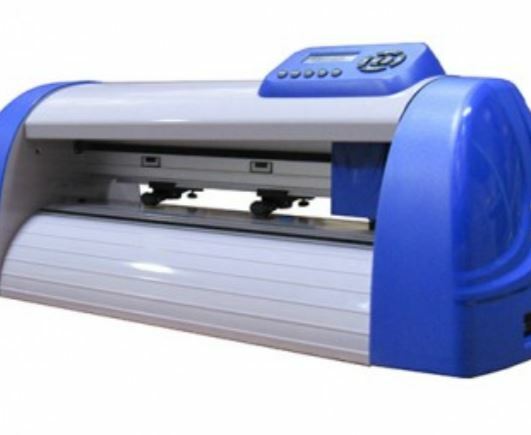 The Galaxy Elite Cutter is the perfect mid-range professional grade vinyl cutter. With a maximum clearance of 19.3″, this cutter is perfect for running 15″ vinyl. 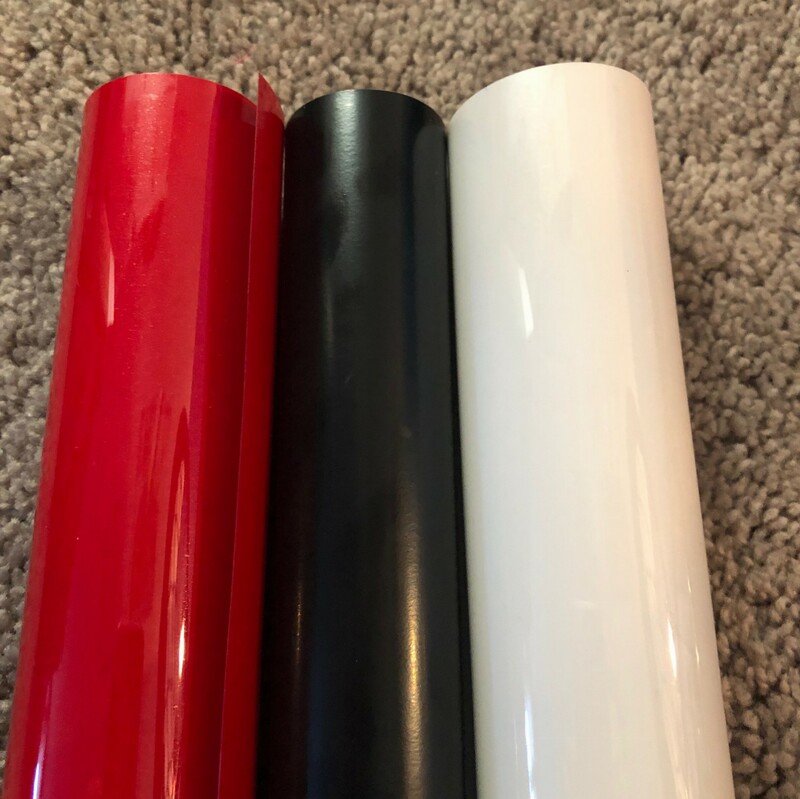 PLUS the Galaxy Elite CutterStarter Pack includes Heat Transfer Vinyl – specifically a roll of red, white, and black to get you up and running on your first custom vinyl project. 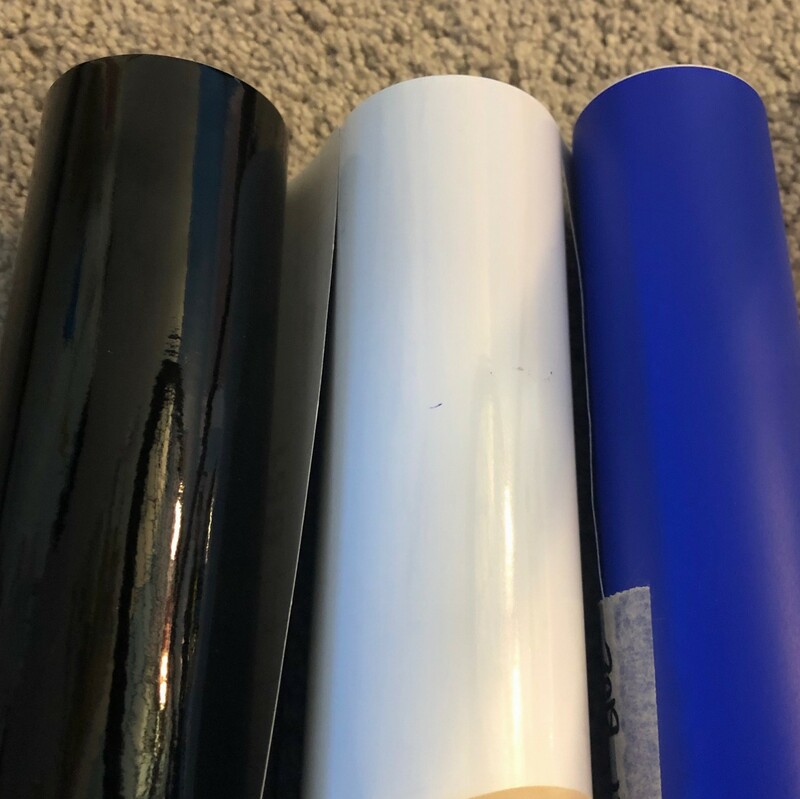 And 3 rolls of Adhesive Sign Vinyl in azure blue, white, and black. And as if that wasn’t enough great stuff you will get a treasure trove of accessories to round out your package which will include a weeding tool, a non-stick sheet, a squeegee, a Siser color guide, and Oracal tape. 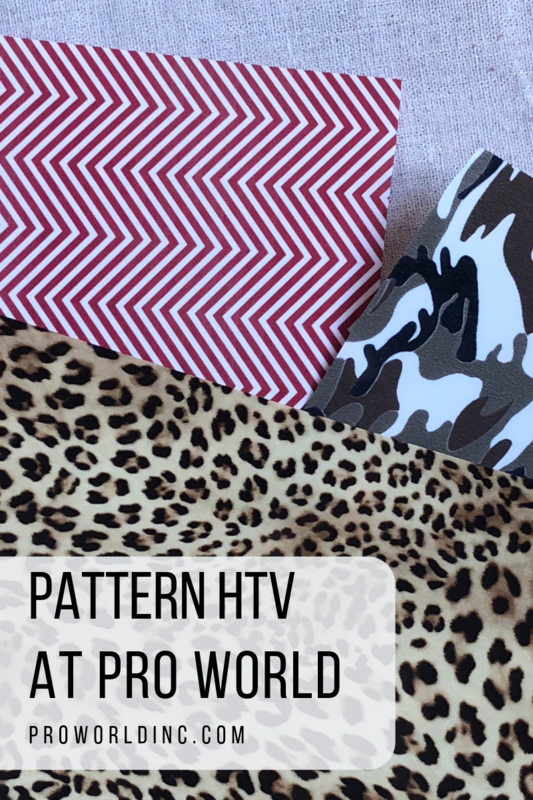 Did you know that we carry Pattern HTV? We do! 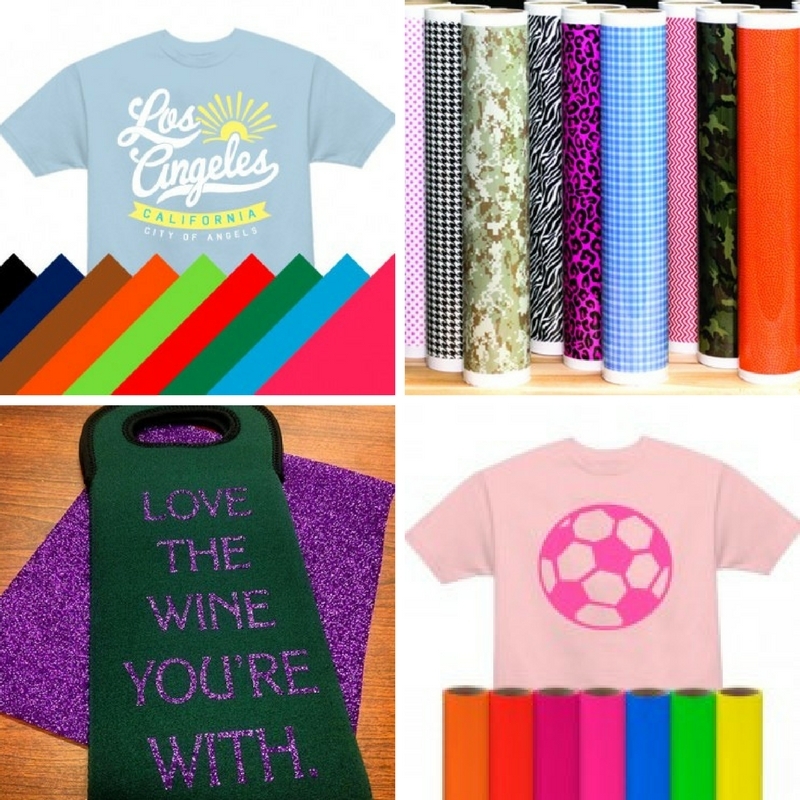 In fact, we carry over 41 patterns from two of the leading heat transfer vinyl brands – Siser & Chemica! Step 5 – Apply it to your garment with the pattern facing up, with the carrier sheet still attached. Do you want to see what 41 patterns we carry? Scroll down! 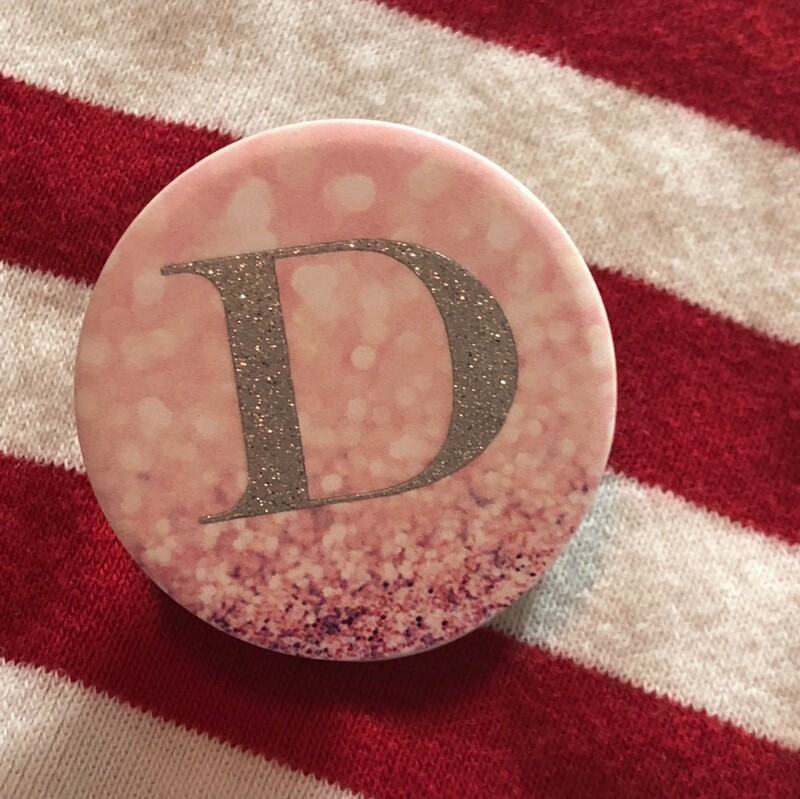 Tis’ the season to sparkle! Today we are showing off all things that glisten and gleam. Whether you are decking the halls in bells of sparkle or ringing out the new year with some bling – bling. Our glistening vinyl is timeless. And we have the perfect type for every application… and season! 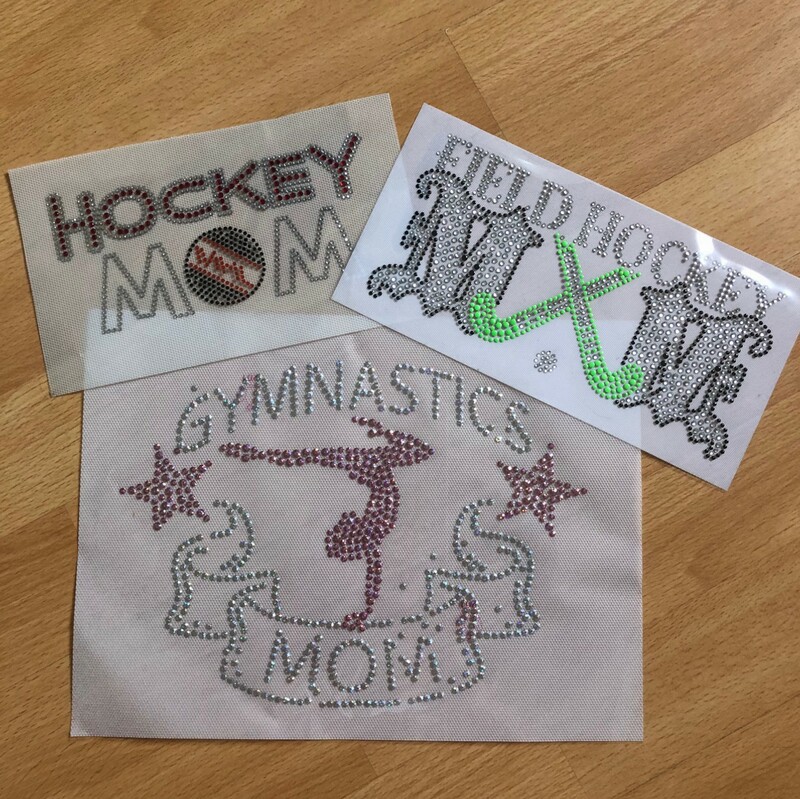 Glitter HTV – for when you need a little extra sparkle added to your apparel or fabric accessory! 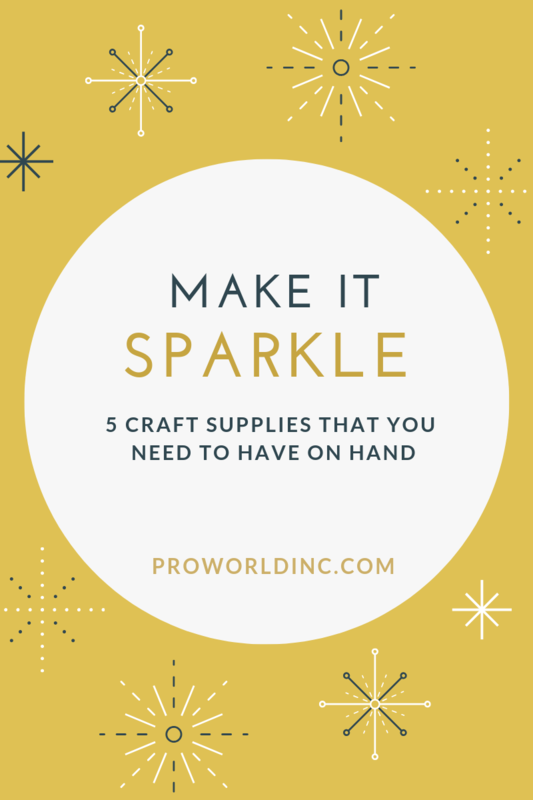 What type of a sparkling supplies are your favorite to use? Tell us on Facebook or Instagram! 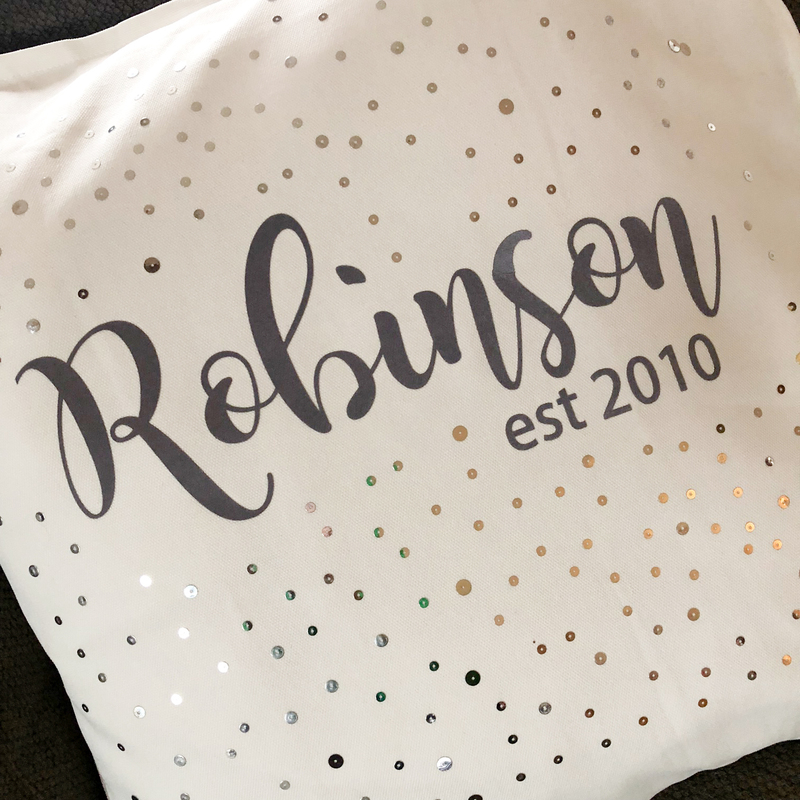 Are you looking for a way to get a little more creative with your heat transfer vinyl? What if you could constantly change your garment without damaging the fabric? 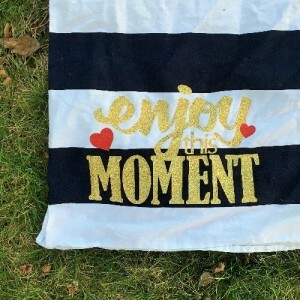 Well, grab your chalk because, with Siser BlackBoard™ heat transfer vinyl, you can! 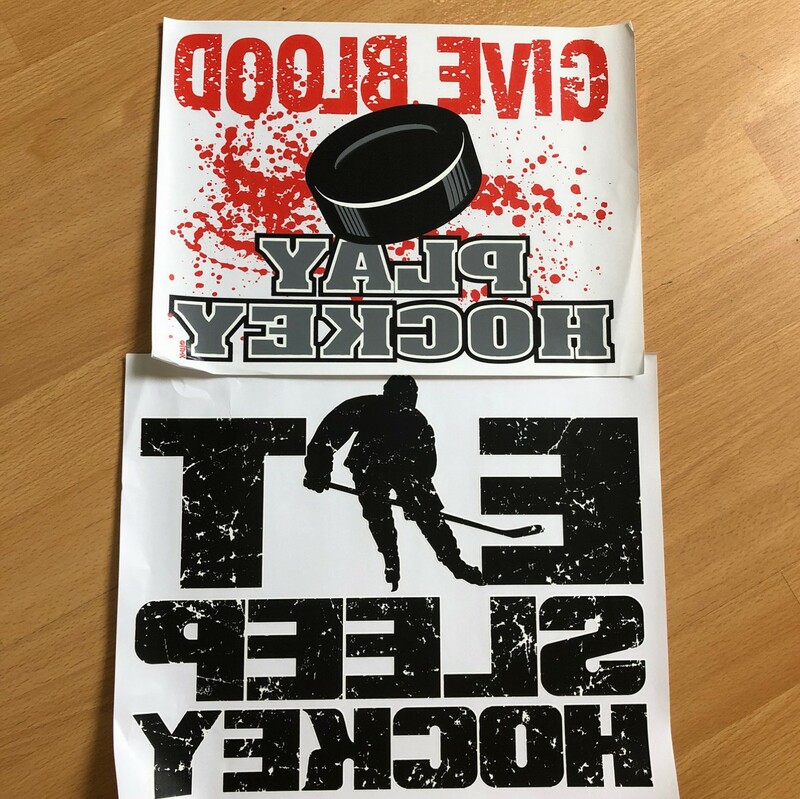 YES, you read that, Pro World now stocks BLACKBOARD HEAT TRANSFER VINYL and the design possibilities are endless! 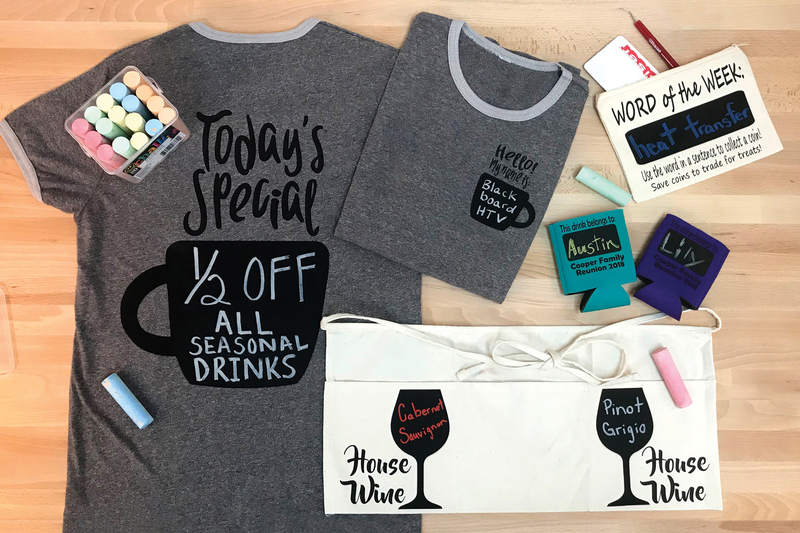 BlackBoard™ is a thin, matte HTV that has the ability to be drawn on with chalk, so it is literally a chalkboard for any fabric! What makes this product so fun is that you can write on it, wipe off, then re-write as much as you want because cleaning it is so easy–all you need is a damp cloth. Not to mention, the cutting, weeding and application is a piece of cake! Ready to make something for yourself? Here’s how! Want to see the blackboard HTV in action? Stop by our Facebook Page on Friday 12/7 at 12:15PM EST as we go LIVE! There are a lot of vinyl options on the market. So we thought it was a good time to give you the 411 on Vinyl so that you know your options and to eliminate any confusion that you may have. There are two main categories of Vinyl – Adhesive Vinyl & Heat Transfer Vinyl. Adhesive Vinyl is used as a decorative vinyl for creating signs or craft projects. 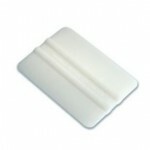 It has an adhesive back and can be applied to just about any hard surface. Adhesive Vinyl comes in three different adhesive strengths – semi-permanent (631), permanent (651) and professional grade. 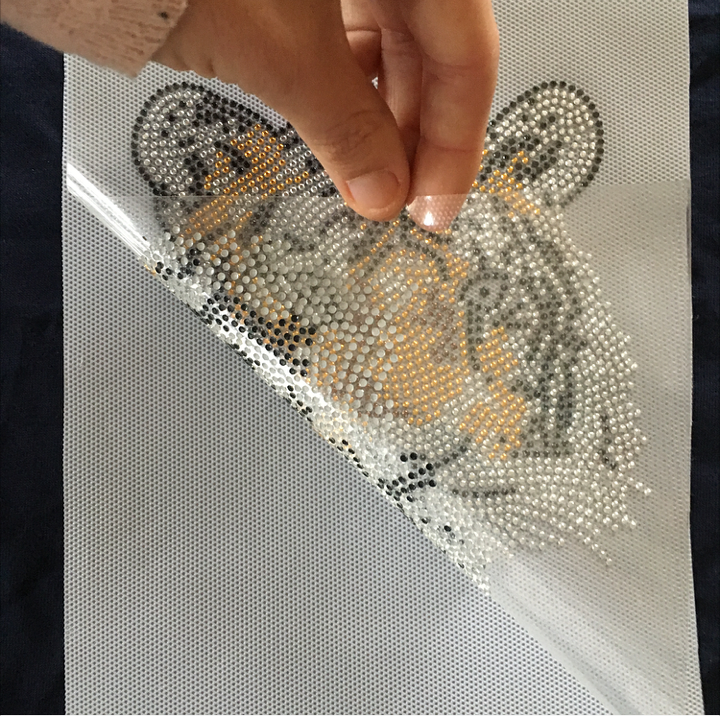 Heat Transfer Vinyl, which is also known as HTV is used for decorating garments and is applied with a heat press or an iron. Siser CADflex – is perfect for storing. The non-stick carrier that makes it perfect for stocking up and storing athletic names, numbers and team logos. Siser Brick – the thickest HTV on the market. Siser Strip Flock – the only flock in the industry that can be layered. Siser ColorPrint Easy – is the easiest weeding print and cut material ever! Requires an eco solvent or solvent printer. 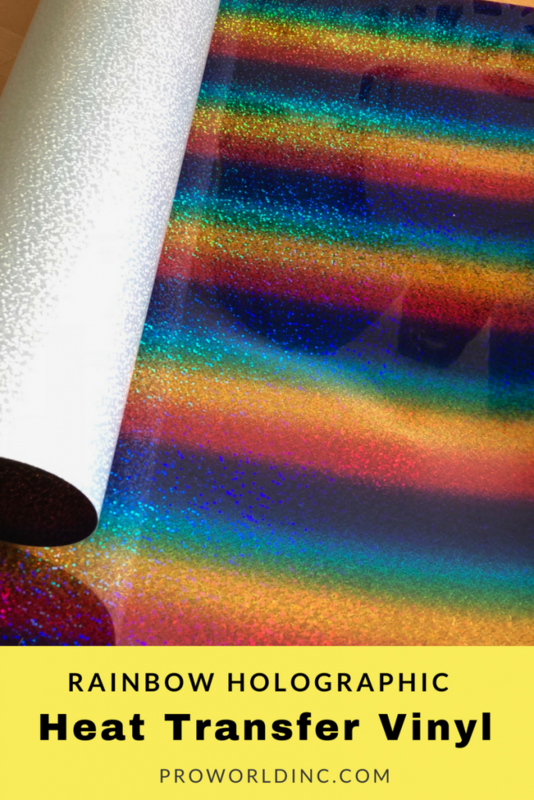 Chemica Darklite – Blacklight photo-luminescent polyurethane material for heat transfer applications. Chemica Mirror – it has a metallic chrome like finish. Chemica Quickflex – Save time, get it done in 5 seconds. ThermoFlex Xtra – specially designed for decorating nylon, leather, rayon, and other heat-sensitive surfaces. 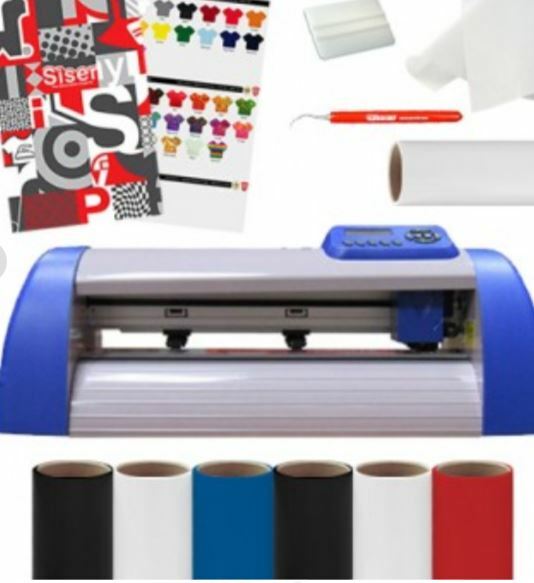 For starters, to cut vinyl you will need a vinyl cutting machine, we sell vinyl cutters in multiple sizes. 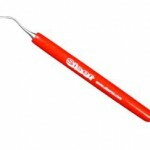 There are cutters for the hobbyist and for the professional custom seller. You can find all of our options here. When you cut adhesive vinyl you want to cut on the shiny, color. Not on the paper backing. 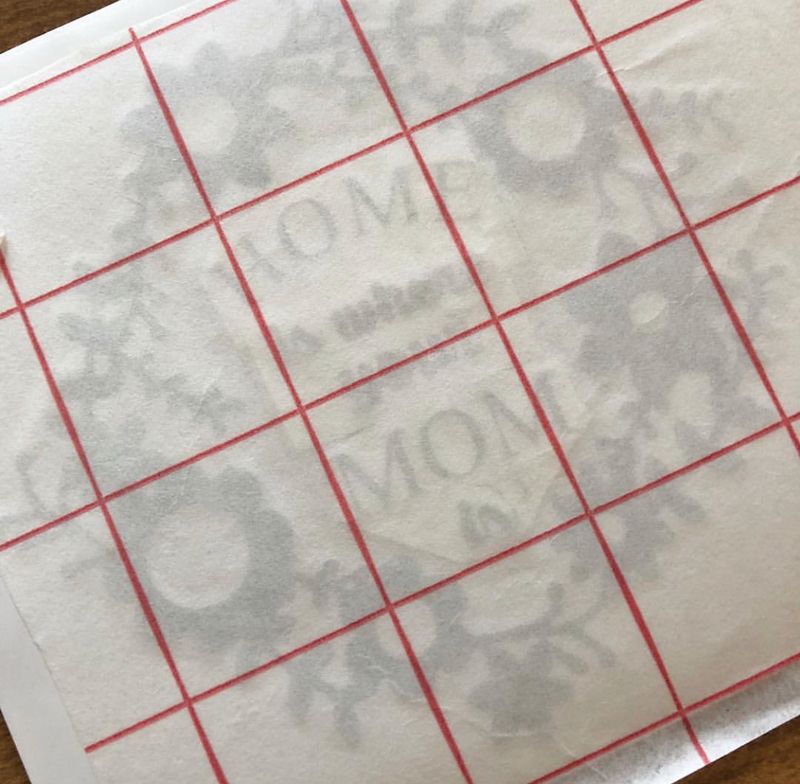 And when you apply it you will want to weed your design and then apply your gridded application tape on top of the design. 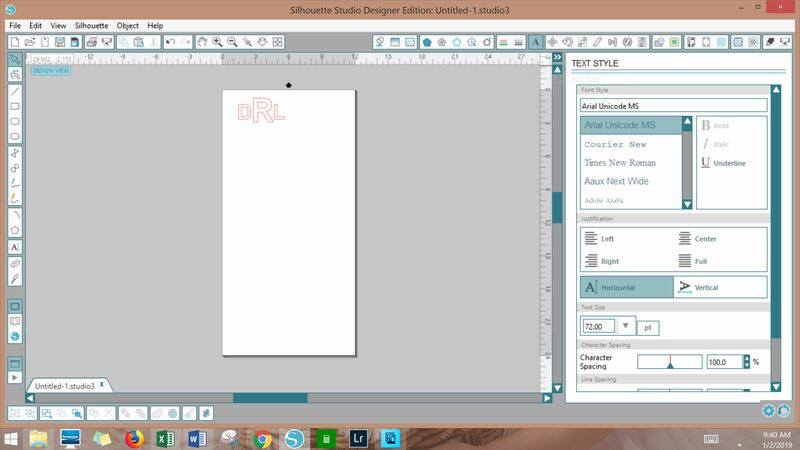 This will help you align your design on the surface. 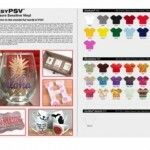 With HTV you cut on the back side of the heat transfer vinyl, not the plastic top. 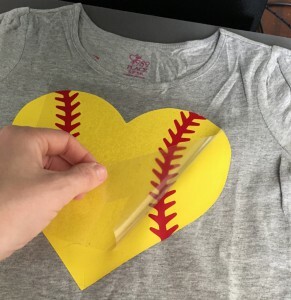 Since you cut on the back of the HTV you need to mirror your design before cutting it. 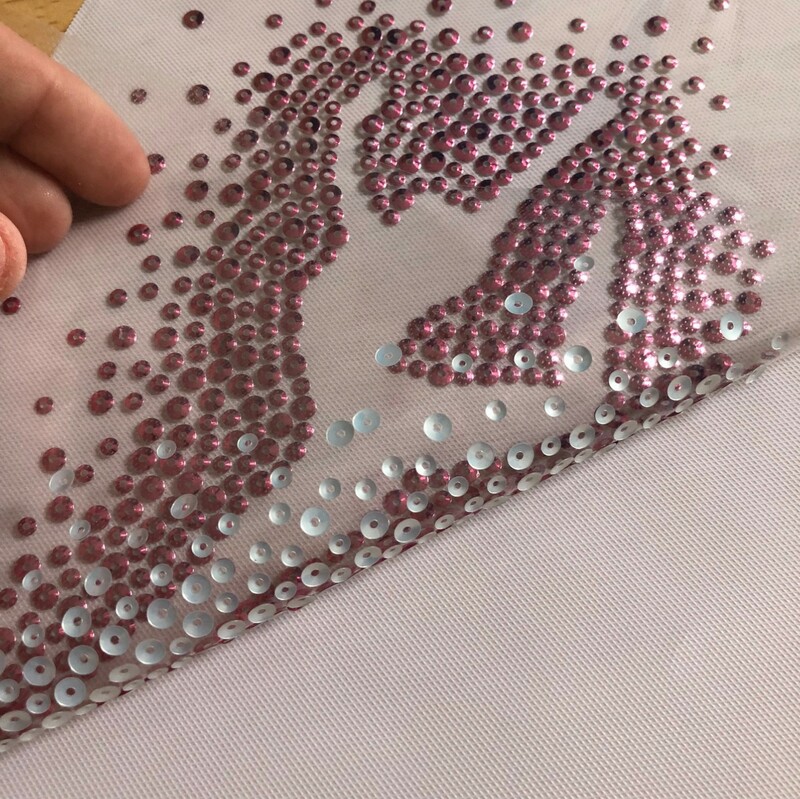 Then when you weed your design, you should lift the waste HTV away from the plastic sheet, so that the plastic sheet stays intact covering your design. The plastic sheet will act as a protective barrier so that the HTV doesn’t directly touch the heat. Once we are done pressing you will remove the plastic sheet. 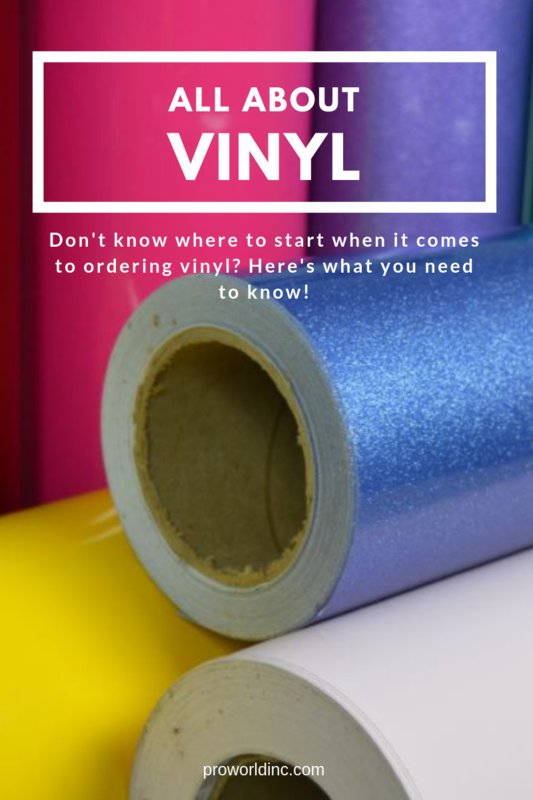 Now that you know the difference between adhesive vinyl & HTV tell me.. What do you want to try? 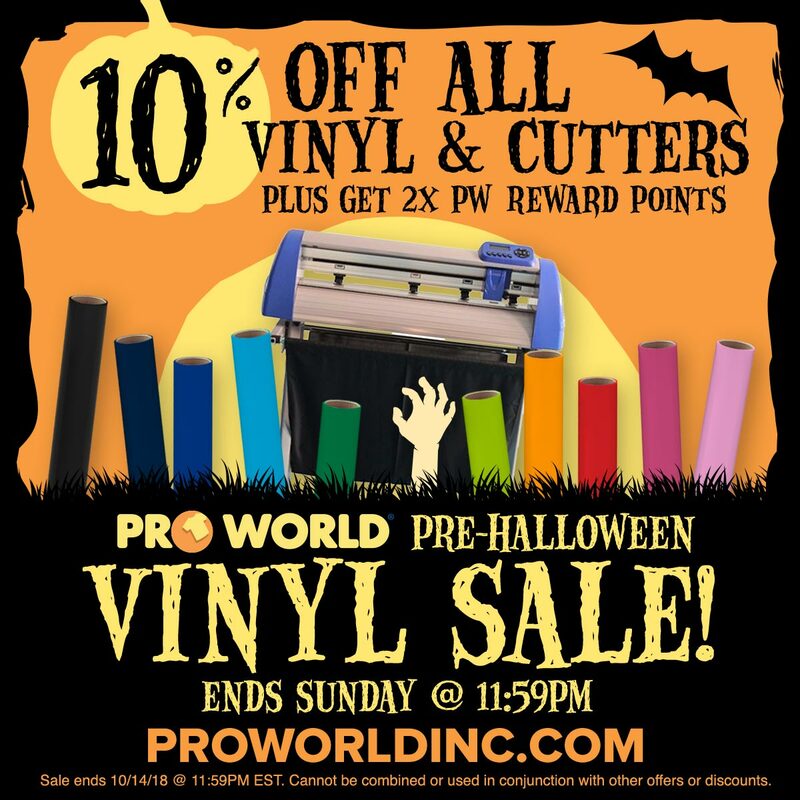 Head to our website from now until Sunday 10/14/18 and you can get 10% OFF all vinyl & cutters! PLUS you will get 2x PW Reward Points! Which means it is a great time to stock up. School is back in session, pumpkin spice everything is on the shelves and Sunday football is in full swing, which only means one thing: Fall is here! 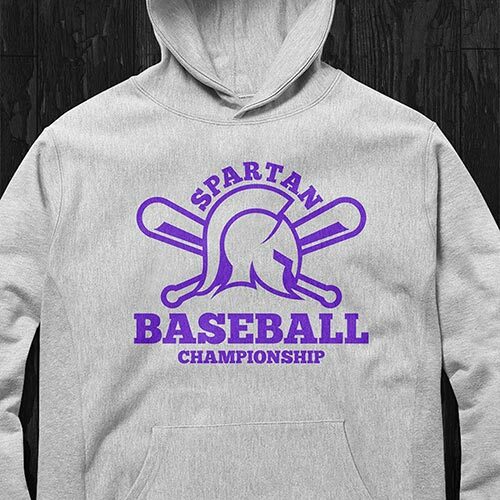 With fall, comes the fall sports season. 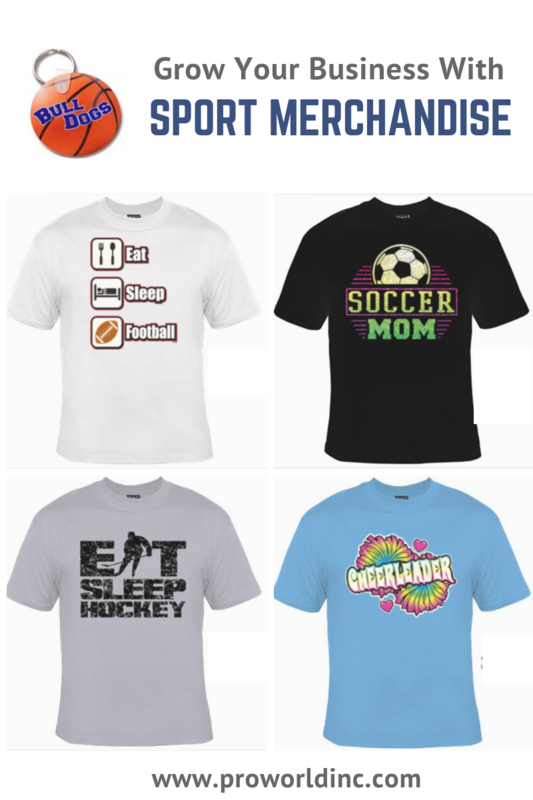 Teams are always looking for new ways to fundraise, so now is the perfect time to expand your business into the sports market with a fall sports shop! And don’t forget about Mom! 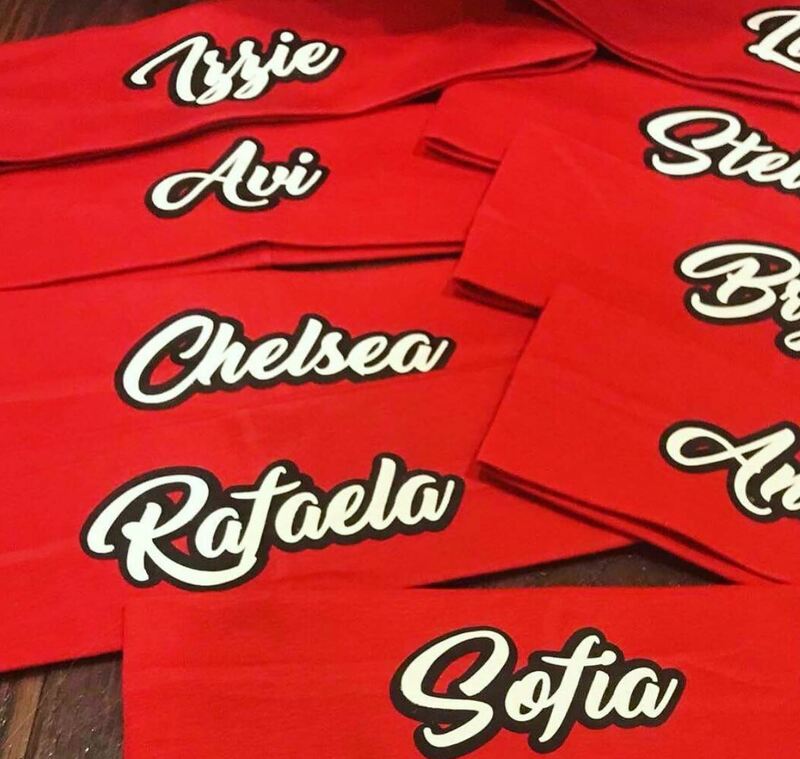 If you want to outfit a team you should consider using our Custom Value Transfers. 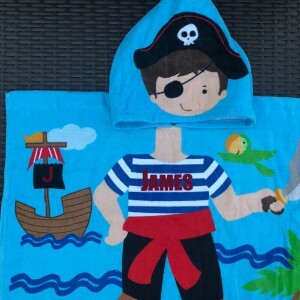 They allow for you to create one color custom heat transfer that includes free shipping, free ganging, and a free art set up. Just pay for the sheet quantity that is needed, everything else is covered! Our One Color Value transfer offers a durable, soft feel that can print on multiple light and dark garment types. 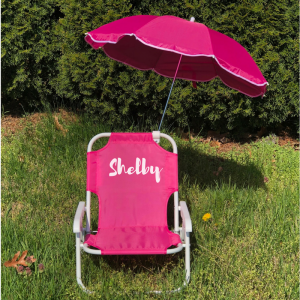 But when it comes to creating custom products you have more options than just heat transfers. 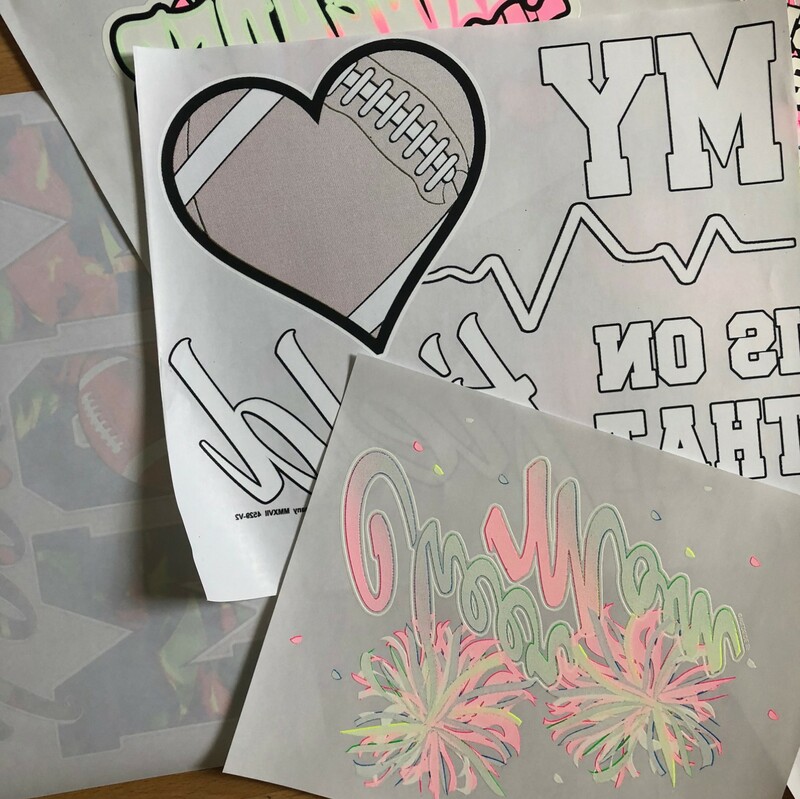 You can use adhesive vinyl for window decals, signage, and even team wall art! 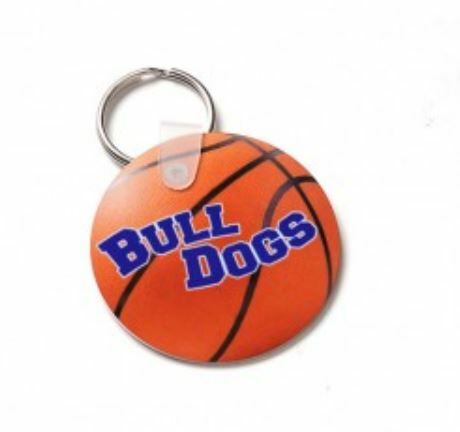 Sublimation for all things polyester and poly coated items like water bottles, keychain for bag tags, or even awards! And HTV if you want to personalize your product yourself like these sport headbands that Finnegan and the Hughes made. Did you hear the news?! Siser North America released a new rainbow holographic HTV! It is bright, colorful and sparkly! 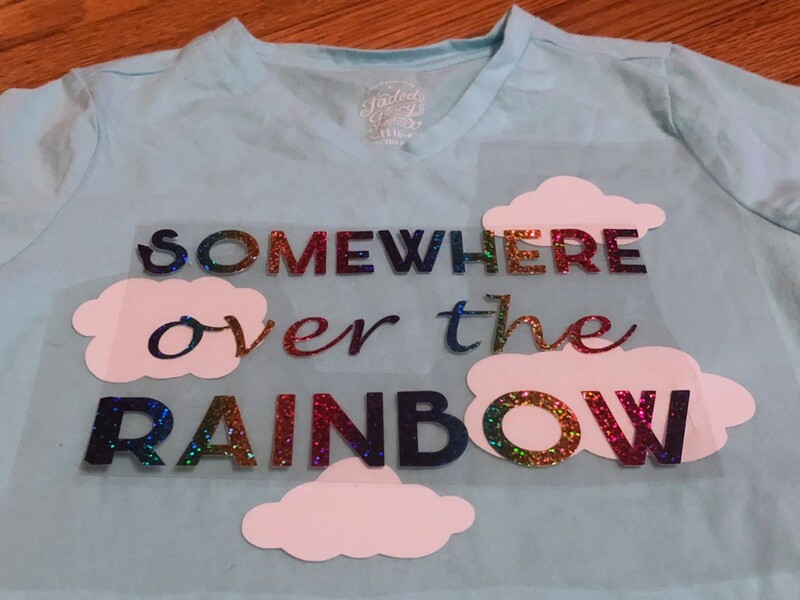 Holographic Heat Transfer Vinyl is unique because it gives your design a mirror, rainbow finish. We loved it so much we had to make a few things! And no surprise, it cut like a dream. 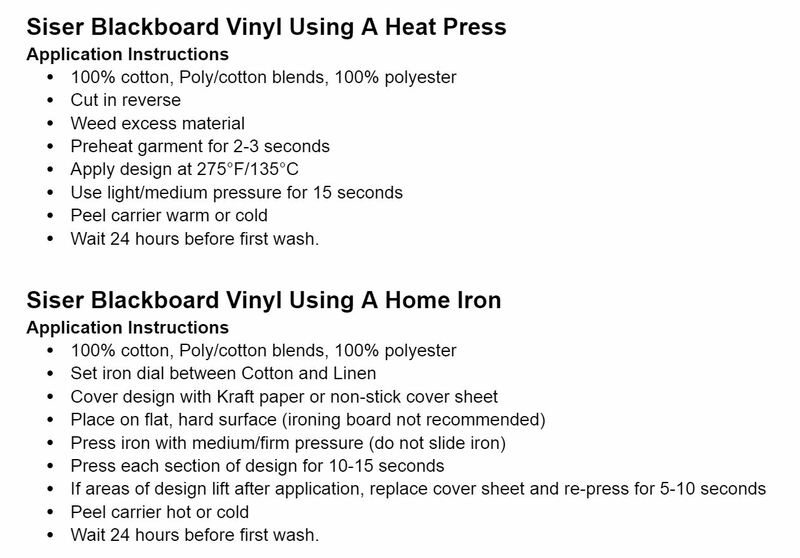 And here are the recommended pressing instructions. If you want to see it in action we crafted with it LIVE on Facebook, you can watch it below.